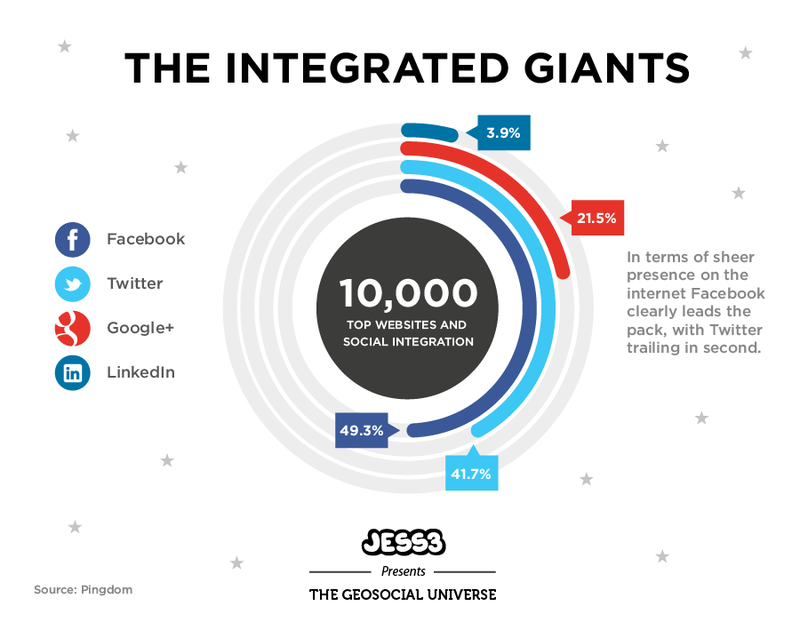 In August 2010, JESS3 took one giant step for geosocial networking with the introduction of "The Geosocial Universe":https://jess3.com/geosocial-universe/ infographic, mapping this new world for the first time. 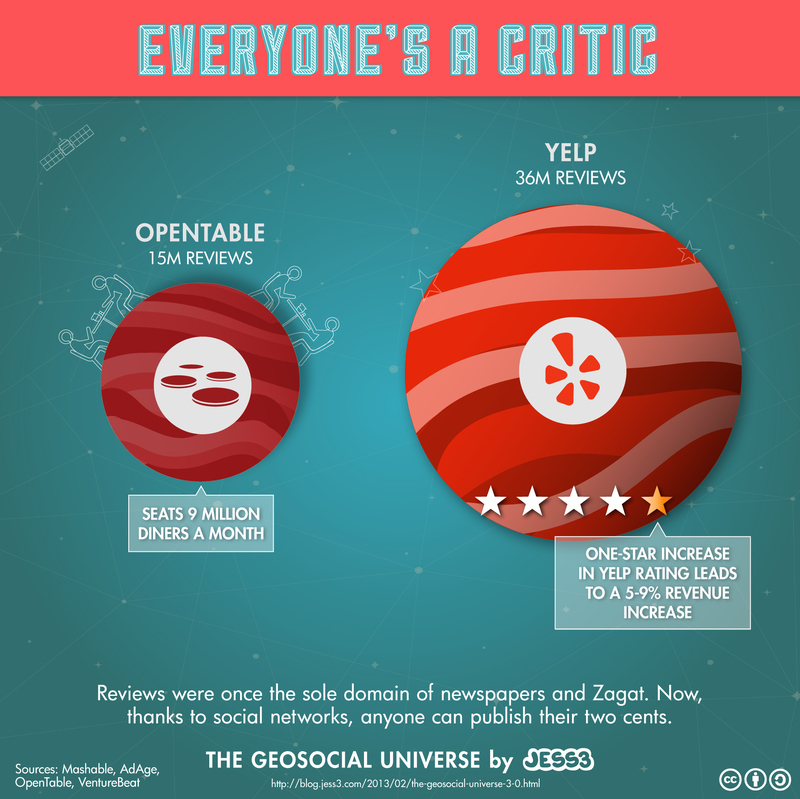 In 2011, "the map got updated":http://blog.jess3.com/2011/06/the-geosocial-universe-pr-case-study.html. 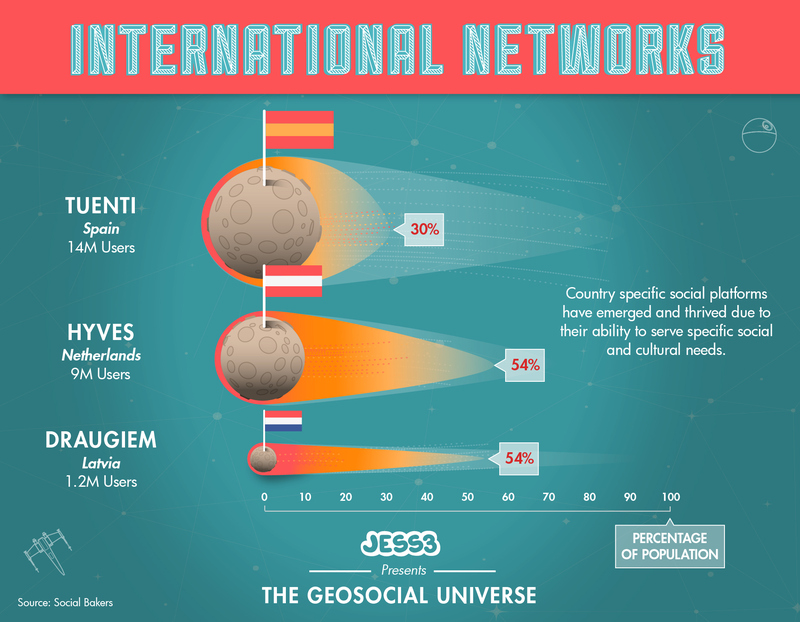 In 2013, with changes to the social landscape occurring at lightspeed, JESS3 presented its third iteration of The Geosocial Universe, charting the latest monthly active user data for various social networks, along with the percentage of users who access each network via mobile devices. 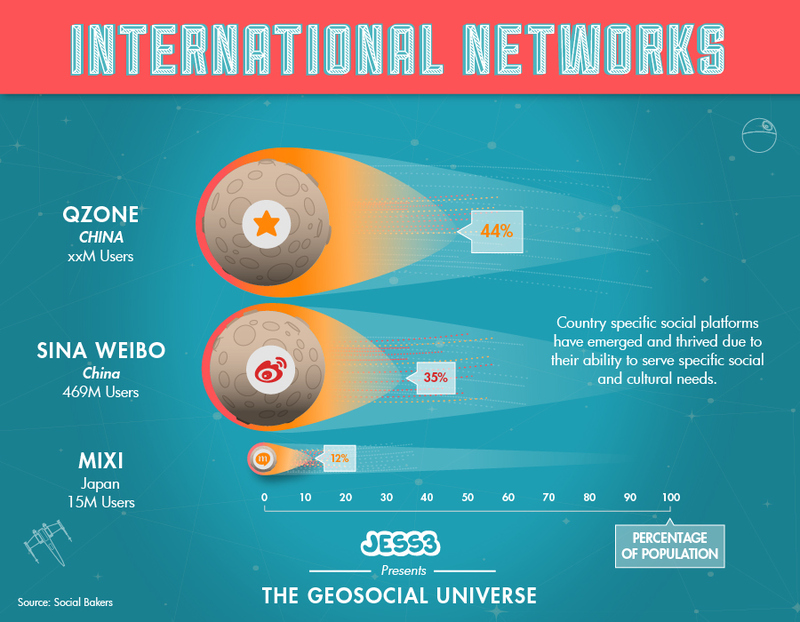 For this JESS3 Labs project, we referenced our past endeavors, but put an even stronger emphasis on mobile user activation in the geosocial universe. We added several networks, including completely mobile apps and a few foreign players. For the first time, we also featured the shuttering of some previous major geosocial networks, rendering their demises as black holes. Another key difference in this version was the inclusion of three snackable graphics along with the full infographic. 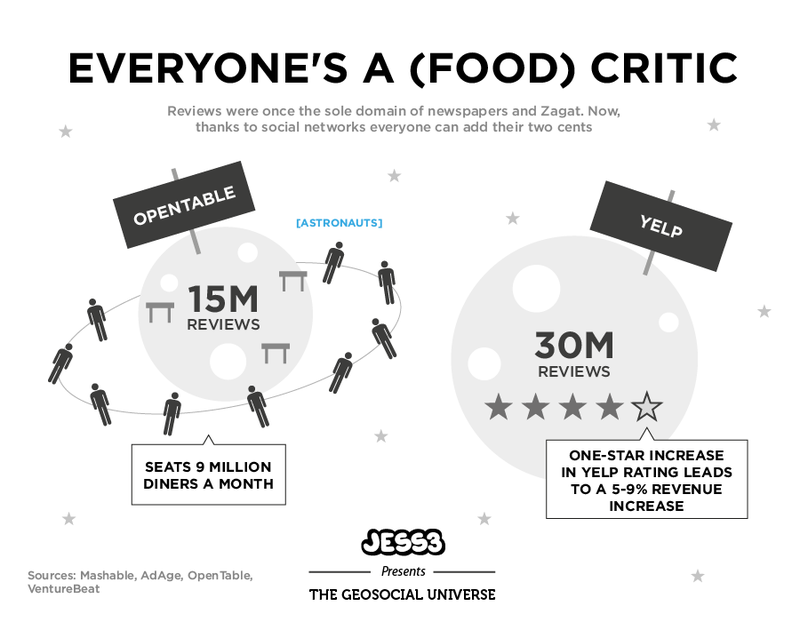 Each snackable took a closer look at a topic within the geosocial universe: online reviews, website integration, and country-specific platforms. As always, the lighthearted, fun style makes the data more digestible, and the space-themed illustrations are a nice bonus. 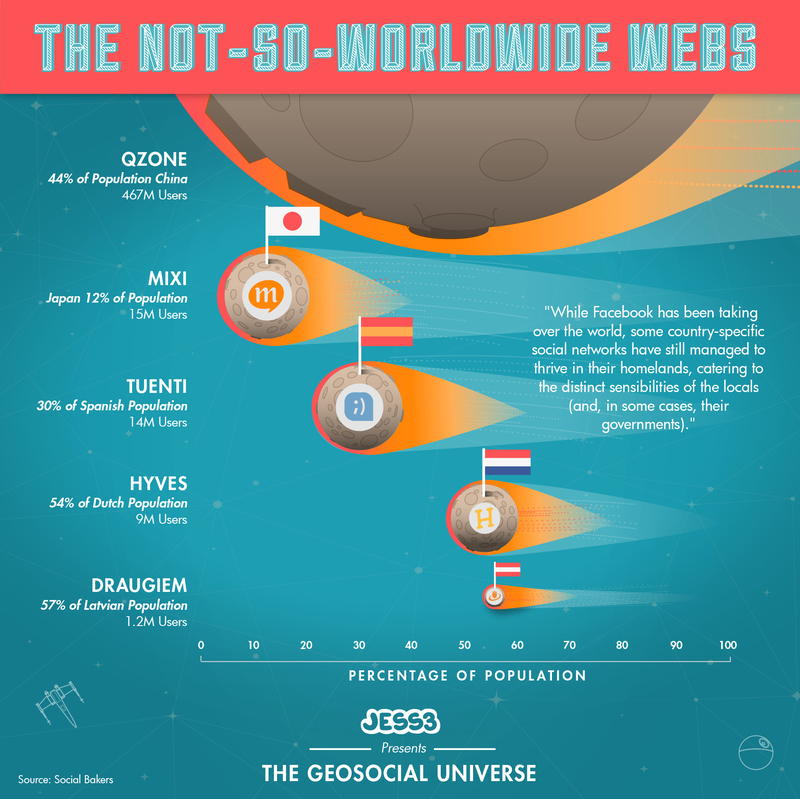 The Geosocial Universe 3.0 premiered in an exclusive on The Next Web, one of the world’s largest online tech publishers. 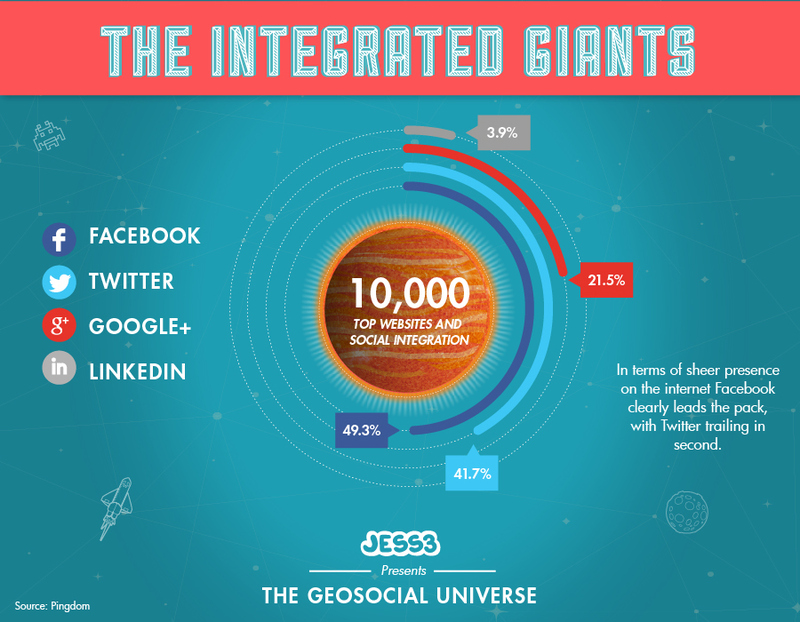 From there, Business Insider, Social Times, Media Bistro and dozens of other sites picked up the graphics. 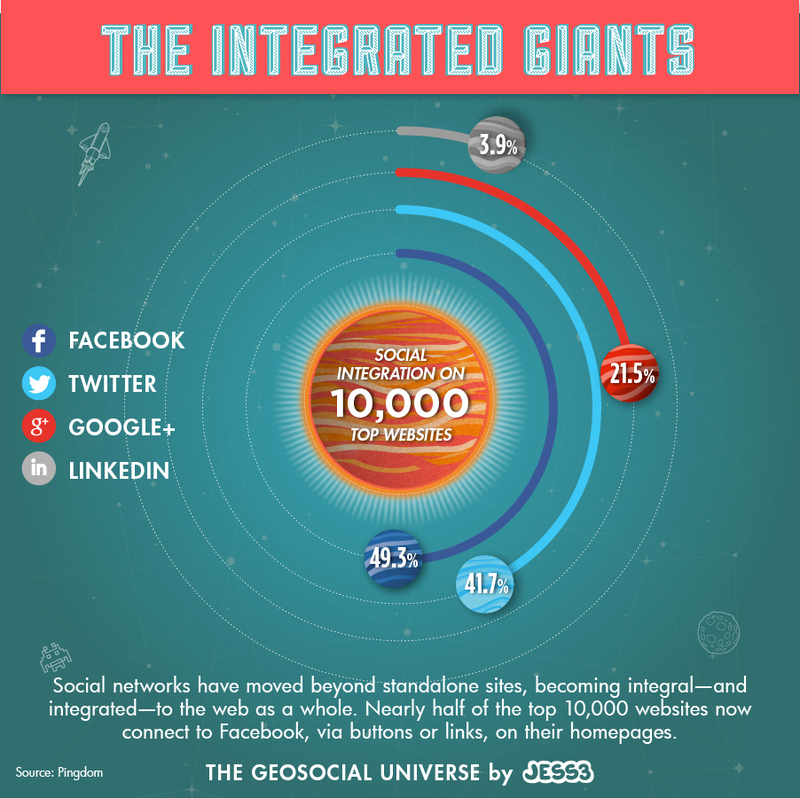 The first Geosocial Universe was our most tweeted project, so naturally we were excited to see social media outlets embrace the new version. We saw tweets from "industry players":https://twitter.com/socialfresh/status/307100112264511490, "other agencies":https://twitter.com/IB5k/status/306157874571247616, and some hugely popular personalities (such as "Robert Rowe":https://twitter.com/rowiro/status/299802676554776576 and "Guy Kawasaki":https://twitter.com/GuyKawasaki/status/302087447850938368).